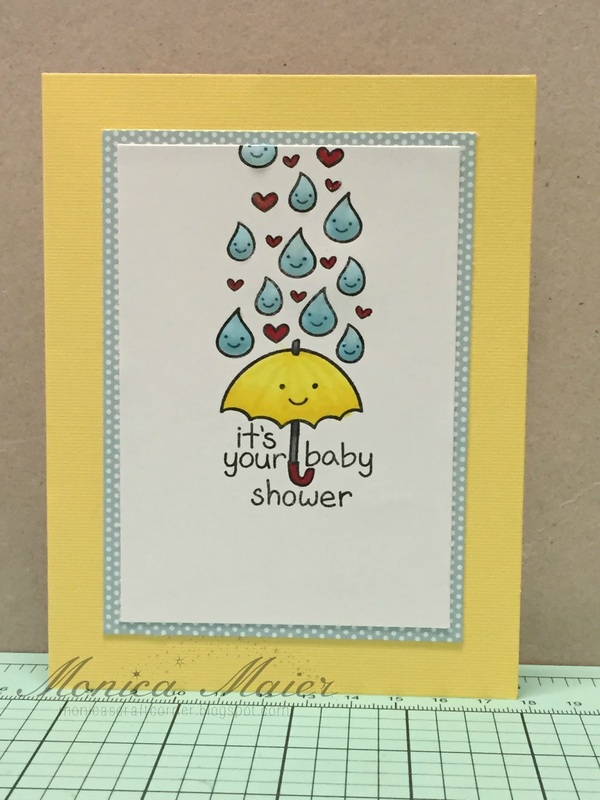 A quick post to share a card I made for a friends baby shower later today. 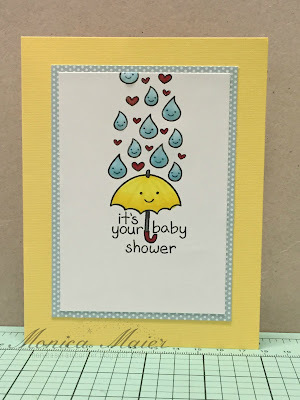 I was busy yesterday making other things for the baby shower (maybe I'll get pictures of them posted too). 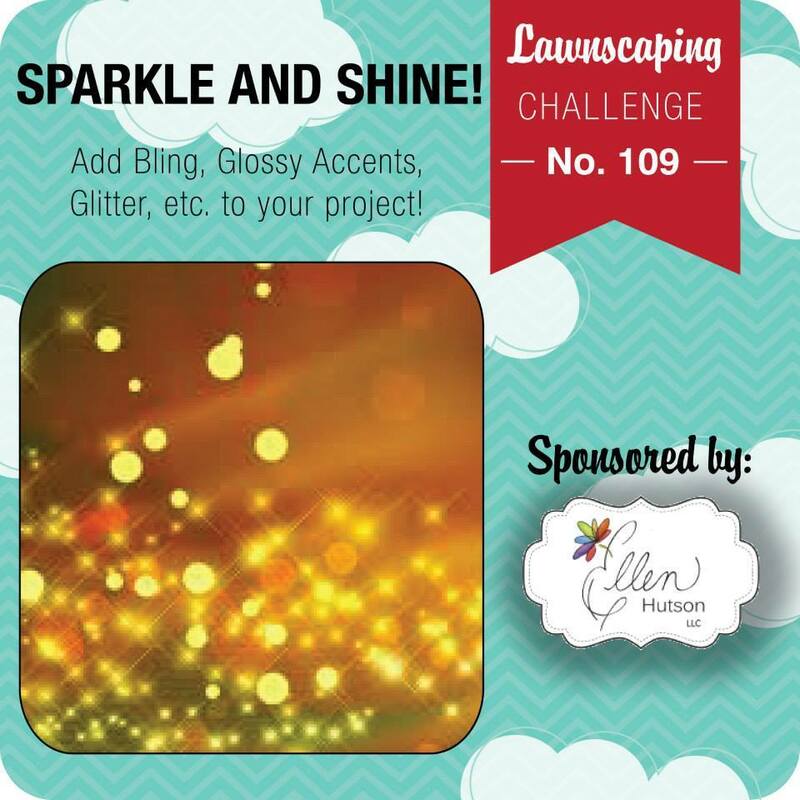 Here is the card, which I'll link up too Lawnscaping challenge. 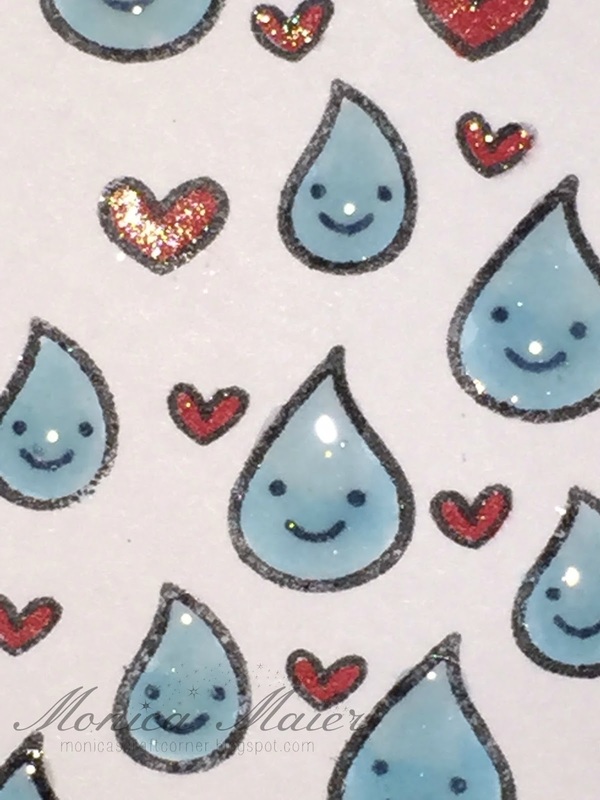 I stamped the images on the white panel and colored them in with copics. Added a blue and white polka dot panel to the white before adhering both to the card base. Once that was done I added some wink of stella and glossy accents. This is so adorable! I love the sweet raindrops!!! !